Do you know what a stargazer is? No, it's not the beautiful flower of the same name. There's actually a fish called a stargazer too. Only this fish isn't exactly as pretty as the flower. Stargazers are venomous as they have two large venomous spines situated behind their opercles and above their pectoral fins. This scene to be peaceful, but there's something hiding somewhere. Stargazers can be found worldwide in both shallow and deep saltwaters. They have top-mounted eyes and a large, upward-facing mouth in a large head they use as they leap upwards to capture prey. 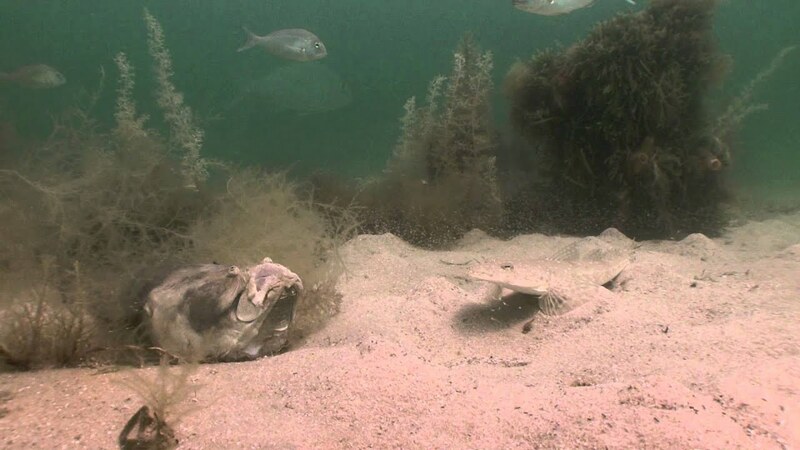 You see, what these bottom-dwelling fishes do is bury themselves in the sand and lay there waiting until the right moment arrives to attack their unsuspecting prey. 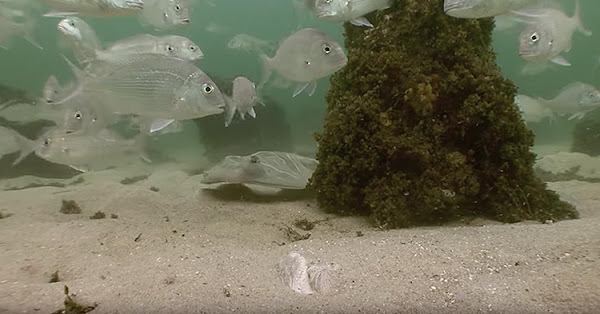 The fishes and other big aquatic animals are like in just strolling around near a predator. 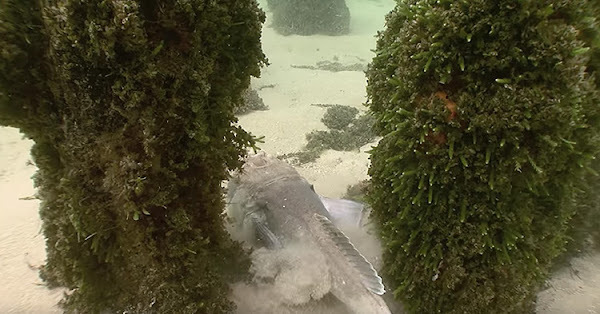 The monster fish, hiding under the sea floor. 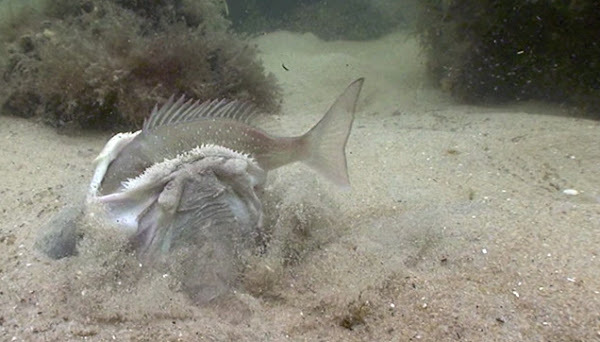 Minutes earlier, the Stargazer buries itself under the sand to catch some food. 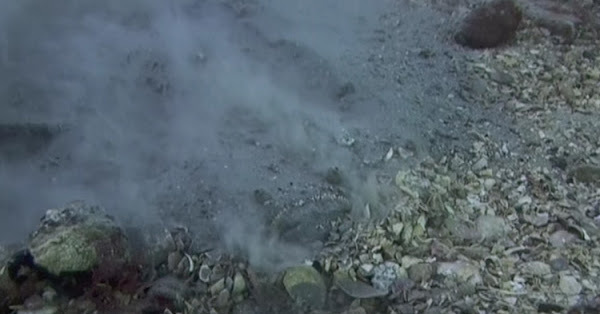 In the video, you can see footages of stargazers doing just that, with the first one happening so fast you can hardly even see the moment the small fish was swallowed whole whereas the next footage you see the fish getting sucked in like it was a spaghetti strand. 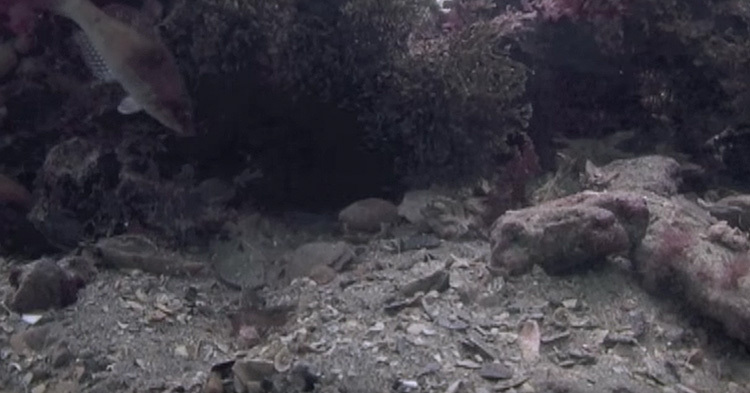 Some footages even had a stargazer capturing an octopus! Moments later, the big fish spots its victim. Watch the video of the hunter while capturing its prey. It's also a good thing that these carnivorous fishes are only about 18 to 90 centimeters long, or else they'll be a bigger threat to humans!